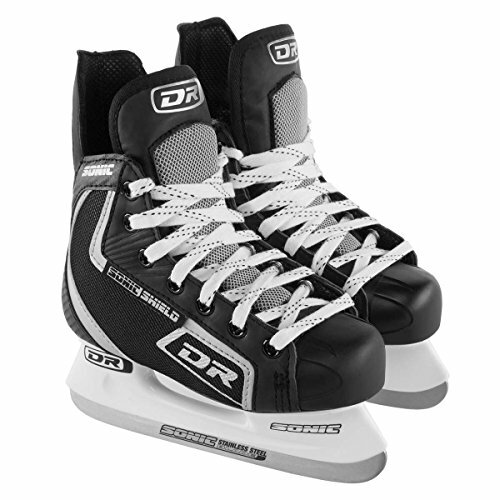 The DR Sports 113 Men's Hockey Skate Black/Silver, Size 10, is great for your hockey player. Whether playing hockey on a team, or just zooming around the ice for fun, these skates are built tough, and ready for action. Product Details: Reinforced synthetic leather upper. Anatomic padding and footbed. Lace-up closure. Carbon steel blade. Ideal for any skaters. Fits one size below shoe size.